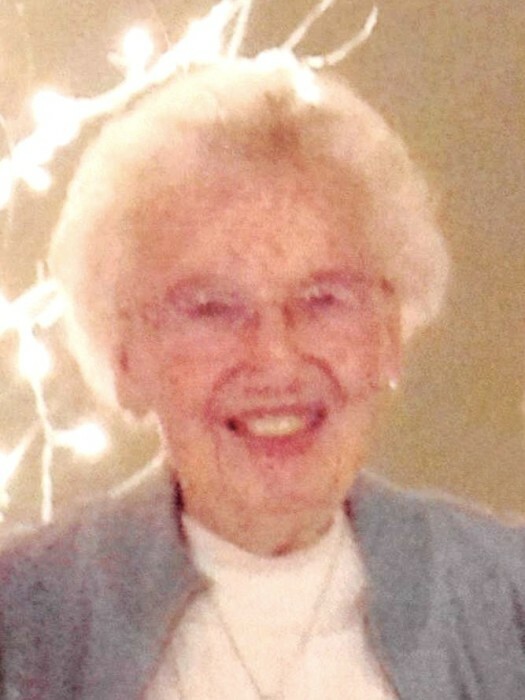 Viola "Vi" I. Gregory, 95 of La Porte, passed away on Thursday, November 29, 2018 at Settlers Place. Viola was born on October 30, 1923 in Chester, Illinois to Otto and Dora (Herberts) Schmidt. On August 5, 1943, she married Harry W. Gregory; he preceded her in death on December 9, 2003. She is survived by her beloved daughters, Harriet (Norm) Kaiser of La Porte and Janet Banks of Michigan City, IN; four grandchildren; eight great-grandchildren; and one great, great-grandson. She was preceded by her husband; parents; and a sister, Janell Emerson. Viola was a member of First Baptist Church of La Porte for over fifty years. She worked as an inspector at La Porte Plastics for many years until their closing. After retirement, she and her husband cleaned the La Porte Professional Building for ten years. Viola also volunteered at La Porte Hospital for twenty-three years and belonged to the Faith Circle group in her church. Her favorite pastime was crafting. A Celebration of Life Service will be held at Cutler Funeral Home and Cremation Center on Saturday, December 8, 2018 at 3 pm (CST). Pastor Mike Schultz will officiate. Burial will follow at Patton Cemetery in La Porte. A time of visitation will be held from 1 pm (CST) until the time of service at the funeral home. In lieu of flowers, memorial donations may be made to the First Baptist Church of La Porte, 802 Indiana Avenue, La Porte, IN 46350.